In this programm we are running different projects that are trying to find out if it is possible to quantify an individual student and turn the results into a recommendation. Can we determine when your concentration level is ideal for studying? And when it is better to stop a take a break. 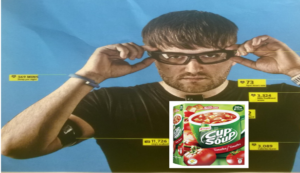 Can we determine cup-a-soup moments? Students Wesley and Joris are trying to find the answers! This were the results (spoiler, they did not find anything yet!). In Dutch. Luckily wearables are getting better. Soon we will try again. In 2018 graduate students of our medical school will develop a series of standardized tests aimed at quantifying an individual student and turning the results into a recommendation. More soon. In 2018 we have two psychology students trying to find out the relation between sleep, concentration and study results. More soon. In 2018 we have one student, Shawni, who is resarching movement and study succes. You can read her project proposal here (Dutch). We will keep you updated on the progress.